At Brighten the Brain, we have found that addressing neurological reactivity along with targeted Training and Supports to be the most effective way of delivering services. We offer services as a package versus individual sessions because this is what provides optimal results for our families. 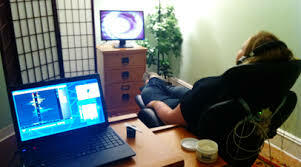 Foundational Neurofeedback On-line Training Course – training and support to assist change during sessions. Investment - for lease, professional training and testing/psycho-educational package for clients. Professional Trainer - Leasing system for professional or commercial use is $2700 for all 36 sessions, including 12 gifted sessions for clinician. We typically charge $1750 for a 10 session package to clients, the option of collecting this for you is available. Equipment leasing period is one month with 36 training sessions for professionals/commercial use. Includes consultation services to design effective clinical practice and create an effective seem-less experience for your clients. Includes use of testing for all clients and clinician to demonstrate results. Should you decide to purchase a professional system through us after renting one for professional use,we will rebate $1000 of the rental fee. Please email us to set a time to ascertain if we are a good fit for you and so we can customize our program for you.